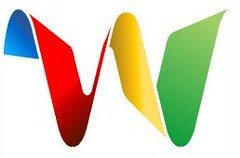 Biggest business advantage for Google Wave? Alexander van Elsas compiled an excellent list of 10 reasons why Google just reinvented online communication. You should read that blog post now, if you haven’t already! I do agree that Google does Wave the right way – it’s all about openness, Alexander’s points 2 and 3 should make most critical users and developers happy. But then Google still has the business advantage of having all aggregated data in their silo’s – they will be the exclusive owner of virtually all communication data in the world. This gives them enormous business advantages in terms of finding out what people are discussing, right now. All this can be put in perspective with data mining of all previous communication. The logical exploitation is ever more targeted advertising (adding location, local time, mood, communication partners and such to the expression). But being able to watch real time trends in high resolution, fine grained up to the user level in the context of their social network will likely enable entirely new business models, which we can not even imagine right now. Does this matter for the individual user? Maybe, privacy is potentially at risk even more than it is now. Whatever will happen, great power comes with great responsibility and the slogan “do not evil” applies more than ever before. At the same time I’m really excited to see this happen and will most likely join Wave as soon as it becomes available. What did Scott McNealy say again? “You have zero privacy anyway, get over it” . And that was ten yars ago. This is not true, you could run your own ‘wave’ server, use a non-google client and data wouldn’t ever make its way to Google (just like e-mail today). Ofcourse, being the first to offer it, many people will probably stay with google. You could run your own laconica server instead of Twitter (and still plug into Twitter, just like identi.ca does). But who does? Still, you are right and I completely agree that google does it “the right way”. With that sentence about data silo’s I meant what you say: Google has first mover (and biggest player) advantage and will likely keep that unless the seriously mess up. The recent announcement from Google that they will start indexing RDFa and Microformats flew mostly under the radar, but is doesn’t go completely unnoticed (see Zemanta links below). I personally think that this marks the start of “real world” adoption of semweb, be it through a surrogate approach via microformats. Why now? Because improved representation of your content in Google is simply too big to ignore. If embedding microformatted content (or, hopefully, RDFa) brings you an advantage in Google Page Rank, web site owners and SEO specialists will rapidly adopt the technology. Without the google index incentive this never would happen. The other side may be that data quality gets diluted in a way. Up till now we are used to working with reasonably clean and consistent collections (like DBpedia, MusicBrainz to name a few), where the data quality matters all by itself. That is radically different from entering some code for the purpose of cranking up your rank on the search engines. Maybe in a year from now we are all busy with implementing trust- and reputation systems for linked data instead of spreading the word. I’m curious if the nature of linked data makes this job any easier than with the unstructured web of documents. Update: Ivan Hermann tells it all in a nutshell: RDFa, Google.